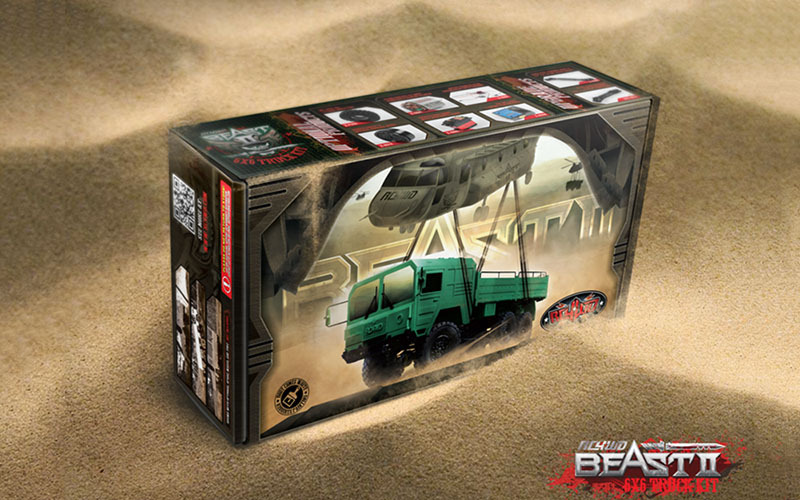 The Beast II has unmatched scale detail, allowing for a realistic model, or a true performance oriented 6x6 trail truck. 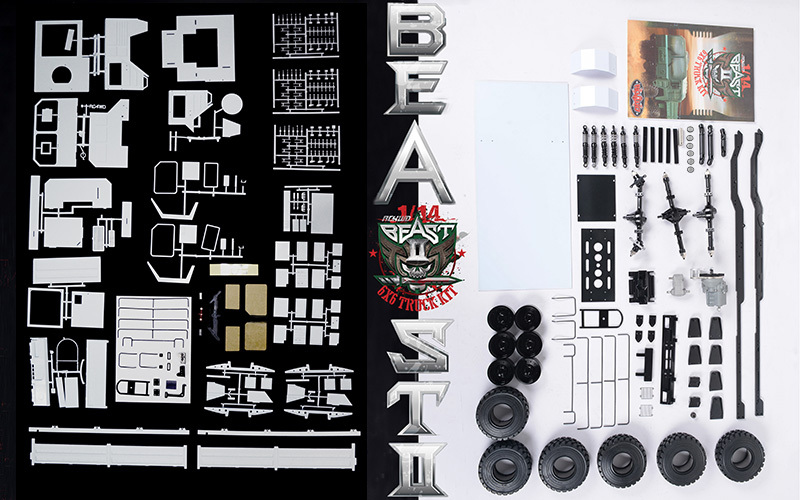 The Beast II is built with engineering and design first. Packed with great products like the R3 2 speed transmission, Yota II axles, Triton transfer case, Mil-Spec ZXL tires, and 1.9" Humvee beadlock wheels. There are no better options! The All New R3 scale 2 speed transmission comes with a tough cast metal case and new wider gears to allow for more abuse along with a Delrin spur with slipper clutch. 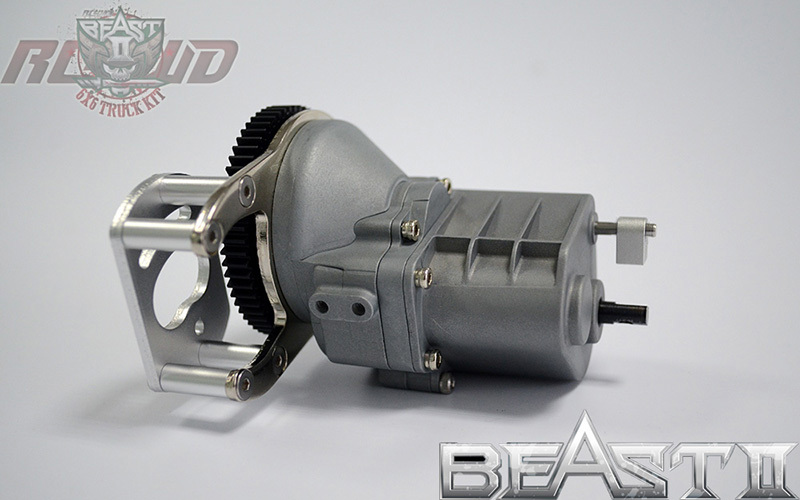 Also features a sturdy billet aluminum motor mount for durability. 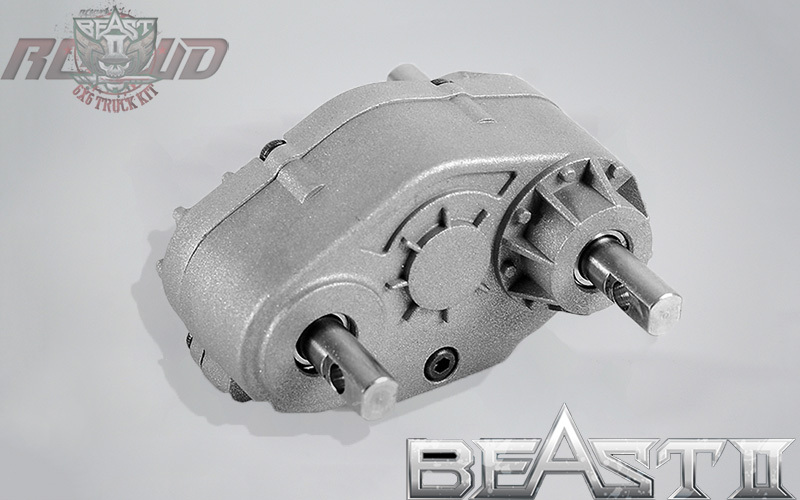 The Beast II includes the new Triton Transfer Case. Packed with scale detail, the Triton features a cast metal exterior and heavy duty 0.8 Mod widened gears for durability. 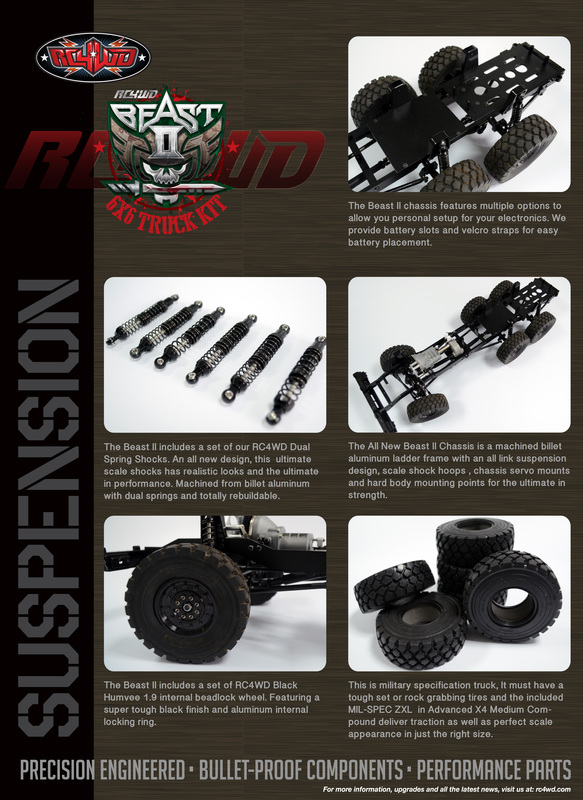 The Beast II includes a set of RC4WD Black Humvee 1.9" internal beadlock wheel. Featuring a super tough black finish and aluminum internal locking ring. Very detailed body and real beast on the trail, the final rc is powerful and heavy, some details is more detailled manual, for crawl recommend battery on the front. Take much time to assemble but the final rc is great. 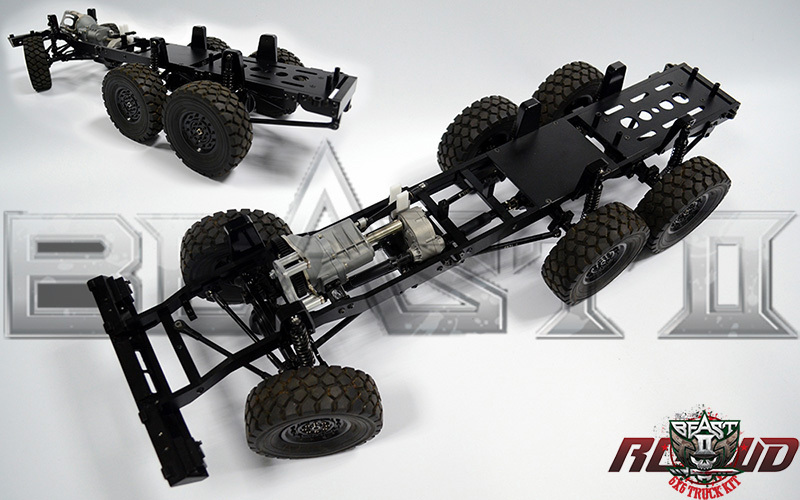 So, want to build a crawler, but the price just keeps you from taking the plunge? The Beast 2 is the answer to that struggle within! 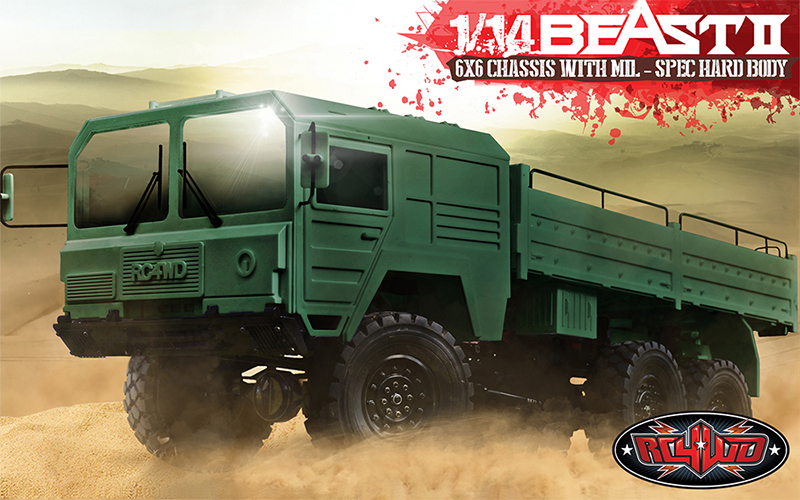 For $499 you get a 6x6, 2-speed BEAST of a machine, and building it is SO satisfying! I have had mine 2 years now, and I still just love it. The only bad thing to say is BUY STEEL AXLES UP FRONT. The plastic punishers that come in the kit are junk and the yokes WILL seperate, no matter how you install that silly metal ring. Other than that, I love this kit and I am very close to buying a 2nd one so I can make an epic 8x8 or maybe a 10x10? This kit is just so much truck and kit for such a middle-of-the-road price! This kit was a blast to build. Its good for beginners or for more talented guys its a lot of fun. I had mine complete in about 2 days from opening the box to letting the paint dry so I could take it out on the trails. I would recommend it to anyone who can afford it.